As with any challenge in life, the road to success is not a straight line that ends with a pot of gold, a big house, and a happy family - YOU are the one that must take control of your life and achieve the goals you have envisioned for years. Are you the kind of individual that loves a good, juicy fact? 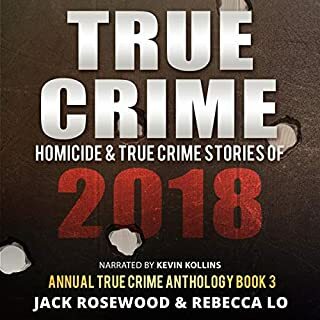 If so, this is the audiobook for you. 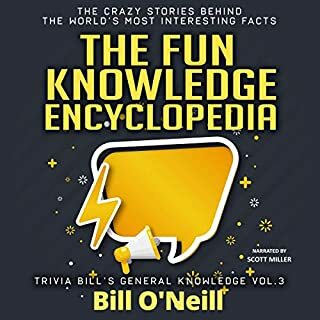 This encyclopedia of facts is going to allow you to delve deeper into the world of humanity than you ever thought possible, and we will throw in some facts about the animal kingdom as well. Covering countries far and wide and various time spans, you are going to be taken on a journey that will further expand your own knowledge on all things connected to being a human being. With The Fun Knowledge Encyclopedia, you never know what you'll learn. There is only one way to find out. Al simplemente pensar de forma positiva, ya estás dando los primeros pasos hacia tu progreso. 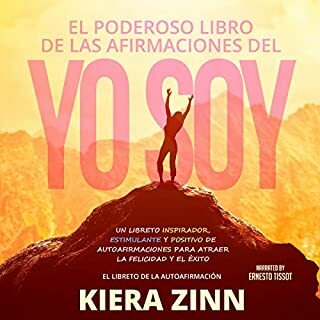 Está comprobado en la psicología que repetir las afirmaciones del “Yo Soy” ayuda a nutrir y mejorar la forma de pensar de una persona. Al implementar las afirmaciones en tu rutina diaria, incrementarás tus probabilidades de tener un éxito rotundo. 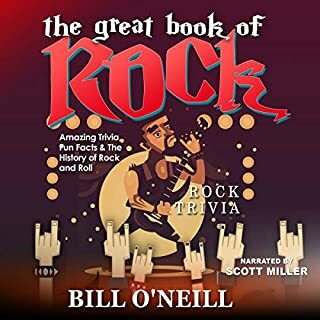 The Great Book of Rock Trivia contains hundreds of riveting facts about your favorite rock songs. Whether you’re interested in what your favorite musicians like to do in their spare time, where they get the ideas for their music, or which artist had an exorcism in his home, you’re in for a treat. This book will satisfy your curiosity and help you impress your friends with your rock and roll knowledge. A must have for Rock-heads! Have you been trying to learn German and simply can’t find the way to expand your vocabulary? Do your teachers recommend boring textbooks and complicated stories that you don’t really understand? Are you looking for a way to learn the language quicker without taking shortcuts? If you answered yes to at least one of these previous questions, then this book is for you. We’ve compiled the 2,000 most common German words, a list of terms that will expand your vocabulary to levels previously unseen. Did you know that - according to an important study - learning the top two thousand (2,000) most frequently used words will enable you to understand up to 84 percent of all nonfiction and 86.1 percent of fiction literature and 92.7 percent of oral speech? Those are amazing stats, and this book will take you even further than those numbers! Don’t look any further. We’ve got what you need right here! In fact, we’re ready to turn you into a German speaker. Are you ready to get involved in becoming one? What I liked about this book is that the sentences are not super basic, some are easy, some are more complicated, and as you go through the book you end up learning more words than just the ones from the list. 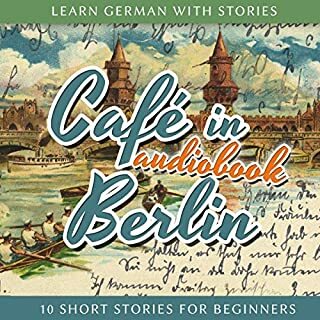 The audio is also high quality, the narrator narrates the german sentence twice (slow and at normal speed) and once the english one. 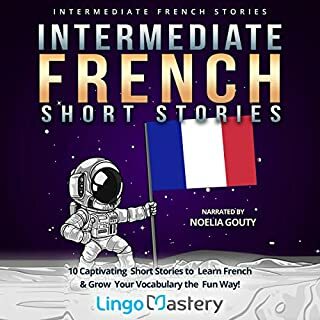 Overall I'm happy with this audiobook, I'm currently doing 30 words a day since I try to repeat every sentence at least 3 times to improve my pronunciation. I am teaching myself german as a 4th language with aims of being able to study in germany by the end of 2020. After a couple of months of studying I found myself stuck until I got this book. It helped me break through a plateau and helped me verify what I had learned and correct some things I had learned incorrectly. Learning the translated meaning of a word and seeing how they really work over and over are two completely different things. This is a great resource for autodidacts that could also serve as a great add-on for a group class. 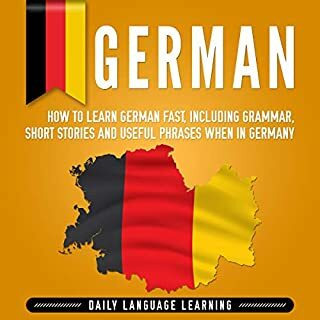 Would recommend to everyone that wants to improve their german. 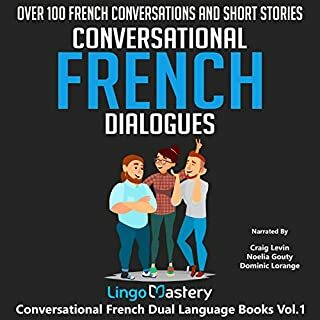 The Lingo Mastery audiobooks have been a great way for me to pick up new languages. 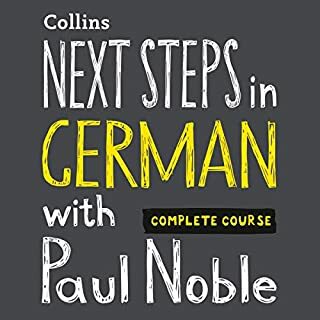 My German is very, very basic, and this book is a great way of letting me pick up a fundamental vocabulary and apply it in natural language. German has a lot of similarities to English that you don't really realize until you hear the words in context. Learning German was a great way to pass my commute. 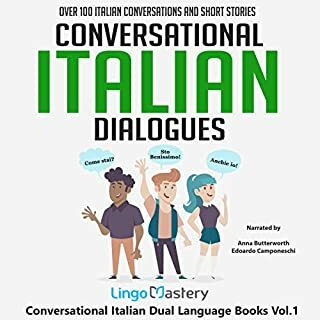 This is yet another great language learning book from Lingo Mastery. 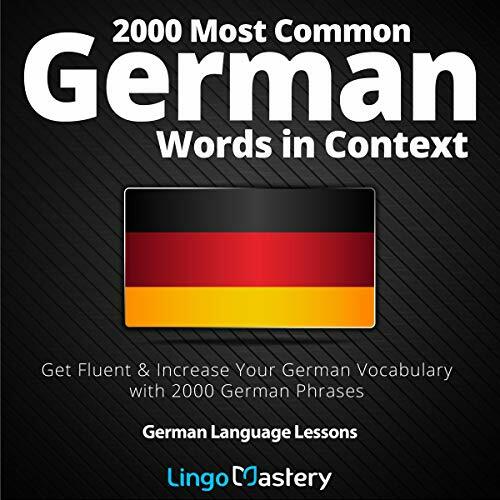 This book will certainly help you learn the German language. You get the 2000 most commonly used words to start growing your own vocabulary. 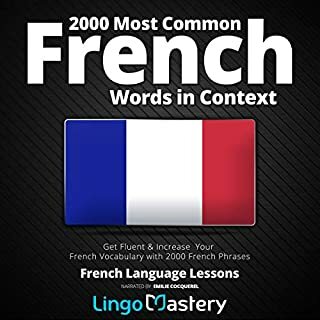 Of course there are more words to learn but this audio book gives you an excellent starting point. You can also follow along the audio with the free pdf included with the audio. It really helps to hear the words and phrases while reading them as well. The narrator does an excellent job. He reads the word and phrase in German then again in English. 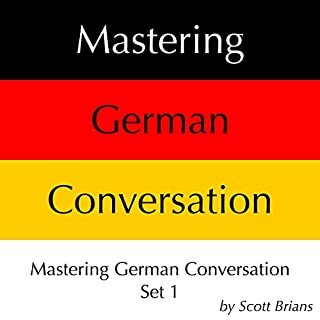 I would recommend this book (or any by Lingo Mastery) if you are looking to learn German (or any other language they offer). 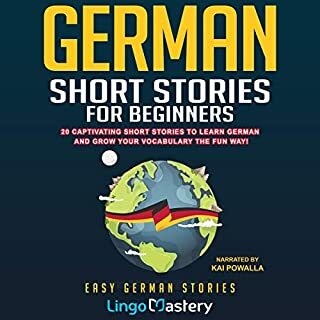 This was an awesome book for those of us who are beginners to German or those of us who want to touch up on your old skills. I studied German for a few years back in school, but its been a while since I got to read up on German. This was the book I needed and the narrator was perfect for this! 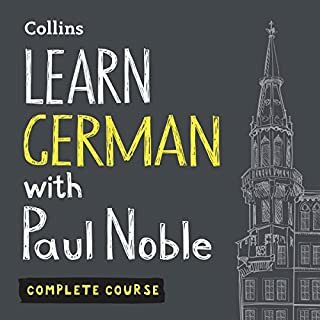 I have been trying to learn the German language for the past year, and my resources have mostly been pdf books, and notes. 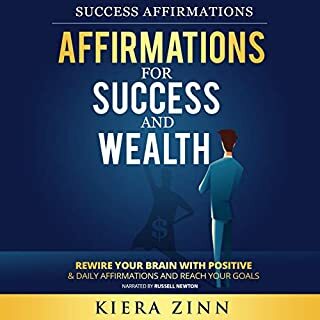 I got a slight understanding, however, I have recorded better improvements with this audio book since I started following the lessons. 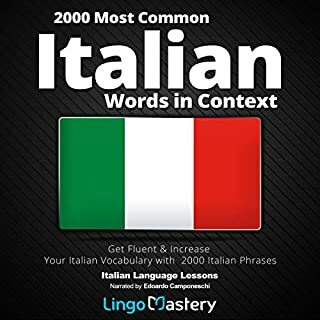 Listening to these 2000 commonly used words, their meanings, and how to use them (especially with references to English) has been a big part of that success. I love the narration as well. 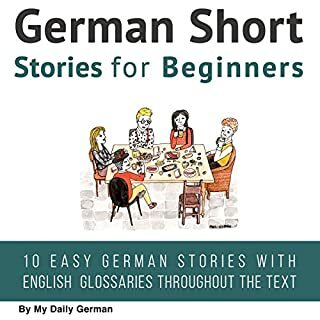 Very useful for learning German to a significant level. 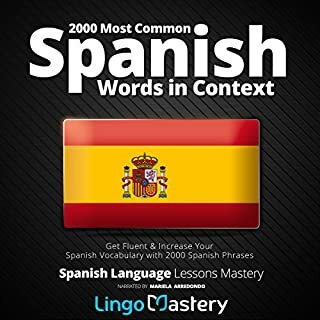 This is another wonderful Audio book from this Company which helps you gain a command of a difficult Language. The performance of the Narrator helps the listener absorb the material. help you in improving your language skills.